Assign an adult to be in charge at all times. Make it mandatory that the adult in charge wear a lanyard, a special hat, etc. – something so it’s known that this person is in charge of watching the water. Often times adults assume another person is watching the kids in the water. If the “watcher” needs to go inside for some reason, make sure the “baton” is handed to another adult. Turn and grab! 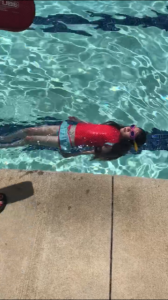 Often times when kids jump in the water, they are facing the middle of the pool which can feel like they are in the big, wide open and they may panic and swim out into the middle of the pool. Teach your little ones to turn around as there is often times a wall to grab onto. We learn at Little Otter Swim School to “jump and turn” to grab the wall. 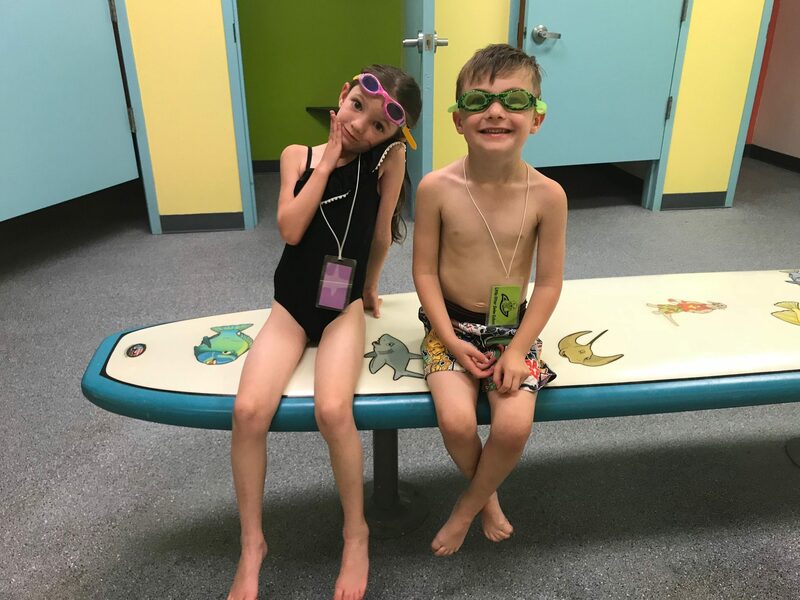 When we attended Safety Day at Little Otter Swim School, my 6-year old and my 4-year old, they both learned key tips and things to do when there is danger. Work with your little ones to help keep them safe this summer! * Learn how to float on their back. Practice it from being in different situations – one in the water and even from jumping in and floating on their back. * When floating on their back, yell for “help”. * If a friend falls in the water, don’t jump in after them –hold out a noodle from the deck and pull them in. * Have them try on a life vest so they know what it feels like and what to expect. * Make sure all gates are closed and latched properly. We all want to make sure our kids have a memorable summer full of fun. Please be alert around the water for all our kids’ safety so these fun memories can be made to last.